Question and Observation About Saving Seed. 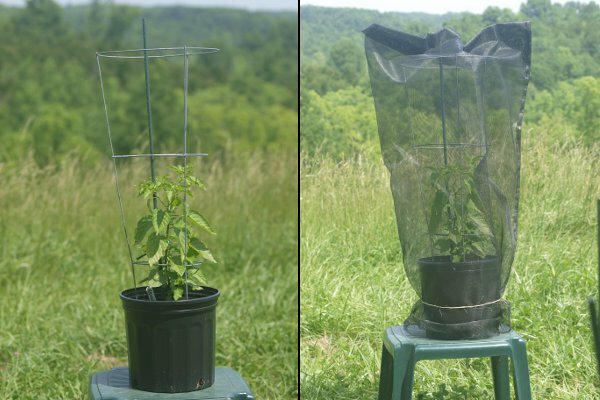 First and foremost, blossom bagging is an excellent way to prevent pollinating insects from cross pollinating varieties from which you want to save seed. 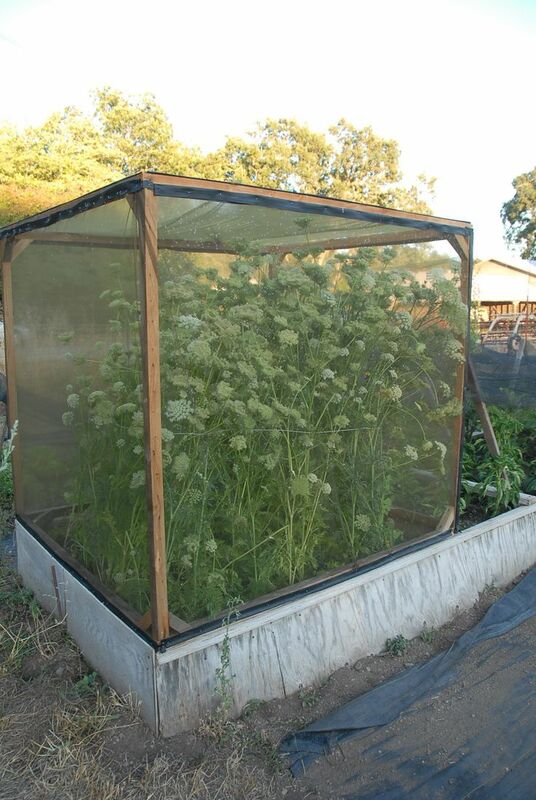 The netting material is a physical barrier to insects that are drawn to the flowers of vegetables that you intend for seed saving. This method is preferred where one has limited space and resources. 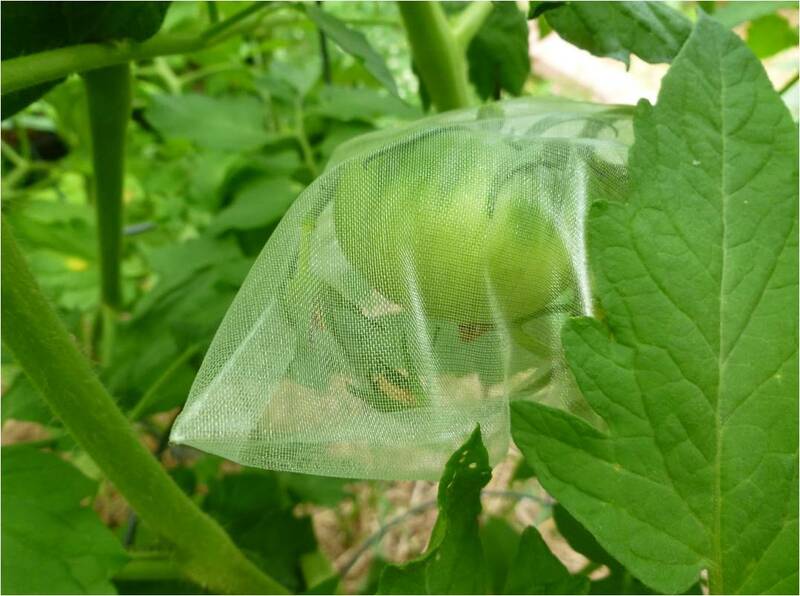 Air and moisture is allowed to pass through the netting to maintain a healthy environment for the subsequent fruit to be used for saving seed. Online horticultural supply distributors and high end garden centers will be your resource for the net bags. Normally, 10 plants are sufficient to save adequate amounts of seed. However, you may only have space for a few of each variety you choose to save. Under the above circumstances you will have to blossom bag all the blossom clusters to garner adequate seed supplies. Blossom Bags may be purchase online or at horticultural supplies and high end garden centers. Caging is the preferred method if the garden is small and isolation distances cannot be met. 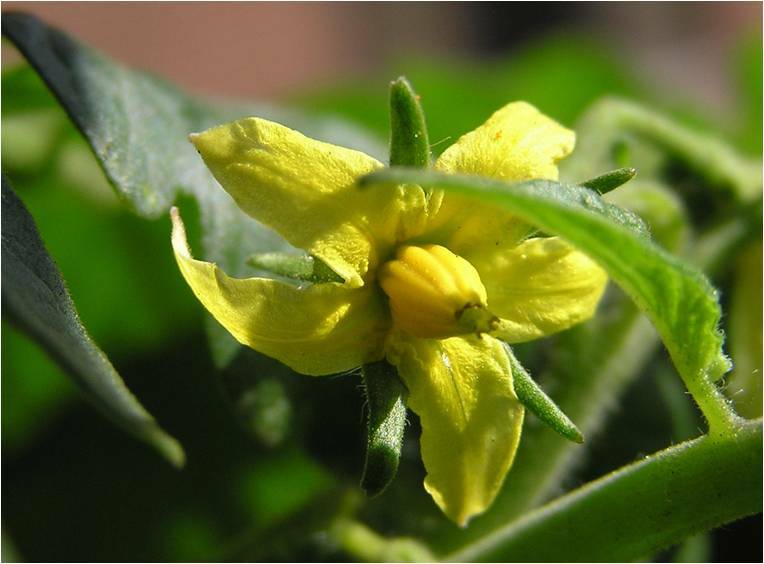 The use of floating row cover (similar to dryer sheet material) will absolutely insure there will be no cross pollination from other tomato varieties. The floating row cover will allow for air and moisture to pass freely to the caged plants. 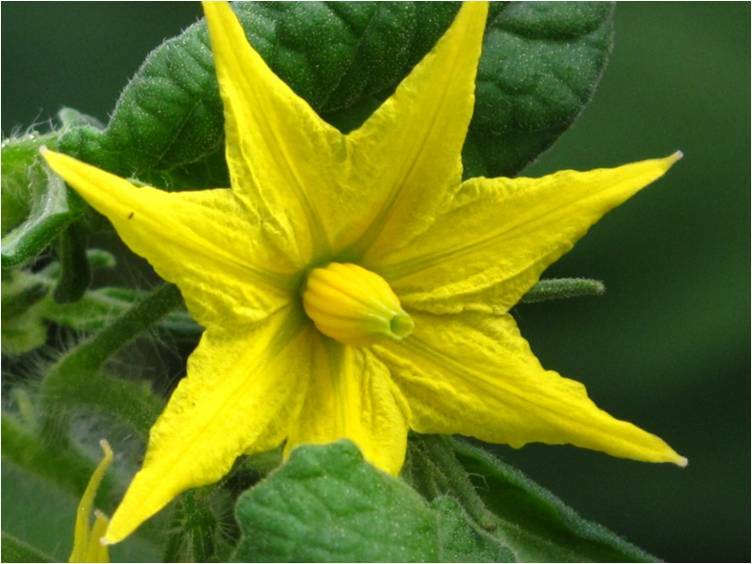 (20 – 50 feet is the required isolation distance between tomato varieties) Ten (10) plants are the requirement for saving seed from your caged tomato plants. Floating Row Cover may be purchased online from horticultural suppliers or high end garden centers. < Previous Seed Saving Garden? Basics for the Beginner!